The hero of Pacific Rim is back! 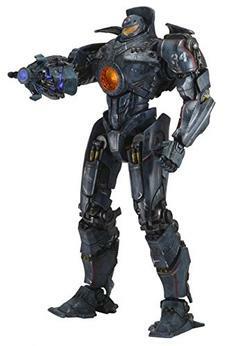 This massive 18″ tall Gipsy Danger action figure features all new deco, weathering and battle damage from its skirmishes with the Kaiju. Gipsy also includes a brand new Plasma Cannon right arm that lights up and swivels! Figure also features LED lights in the head and chest! Batteries and sword included.